Engineers have so far been unable to restart a balky radar aboard NASA’s Soil Moisture Active Passive environmental satellite launched in January, robbing scientists of the most detailed maps of how much water is locked up in the top layers of Earth’s land masses. Engineers have not given up on recovering the radar, which stopped functioning July 7. But Michael Freilich, head of NASA’s Earth science division, said the likely source of the problem is in the radar’s high-power amplifier. A status update posted on NASA’s website Aug. 5 specified the amplifier’s low-voltage power supply as the specific cause of the radar failure. That component that has no backup aboard the SMAP satellite, according to Freilich. The Soil Moisture Active Passive mission includes a pair of instruments to collect measurements of the moisture embedded in soils around the world. The active L-band synthetic aperture radar works by transmitting radar beams toward Earth and collecting reflections scattered off Earth’s surface. The high-power amplifier increases the energy in the radar waves to allow a receiver aboard the satellite to collect the pulses bounced off the ground, where the radar pulses penetrate a few inches into the soil and return with a signature of the dirt’s wetness. “The team identified several candidate faults within the low-voltage power supply that could fit the observed telemetry behavior,” officials wrote in the status report. 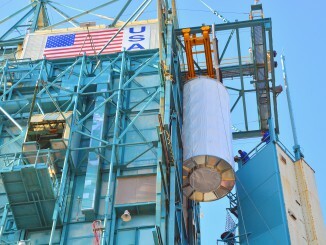 A unique spinning antenna and a passive radiometer sensor aboard the $916 million SMAP mission continue operating, collecting coarser measurements of soil moisture. The radiometer receives natural microwave emissions from Earth’s surface. An anomaly team at NASA’s Jet Propulsion Laboratory, which manages the SMAP mission and built the radar, has tried activate the troubled instrument without success, officials wrote in the status update. “Although several attempts to recover the radar have been unsuccessful, ongoing analyses have recovered valuable diagnostic data that are assisting the team in better understanding the nature and source of the issue,” the status update said. Engineers may try to restart the radar again in late August, NASA officials said. SMAP launched Jan. 31 on a planned three-year mission and unfurled a rotating 6-meter (19.7-foot) diameter mesh antenna. The critical deployment occurred without a hitch, and SMAP began regular science observations in May, operating as designed for two months before the radar glitch. Speaking to members of the NASA Advisory Council on July 28, Freilich said the radar — which makes up the “active” portion of the SMAP science payload — stopped working “rather abruptly” on July 7. 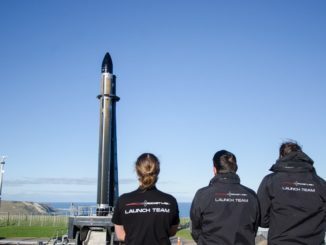 “We’re going very slowly and deliberately to try and determine what happened to the radar instrument, and how and whether it might be (recovered),” Freilich said. Without the radar, SMAP’s radiometer is gathering soil moisture measurements with a resolution of about 35 kilometers, or 22 miles, Freilich said. 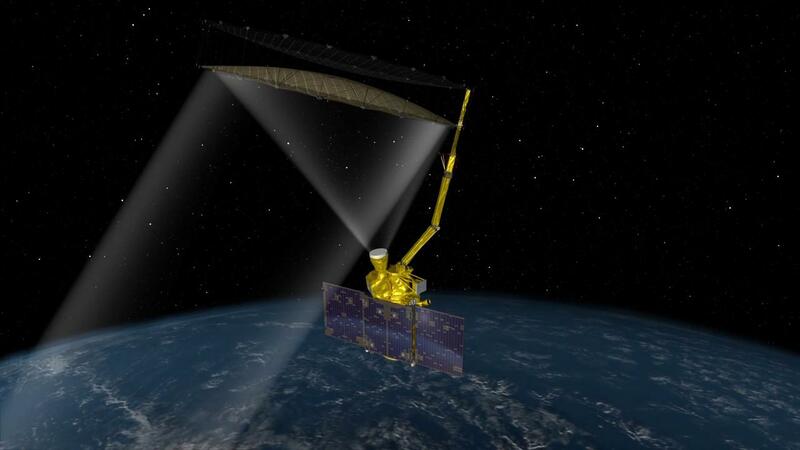 Designers intended to combine SMAP’s radar and radiometer data to map moisture content in blocks of soil approximately 10 kilometers, or 6 miles, across. The radar is able to distinguish soil moisture variations across smaller geographic areas, but the radiometer is better at detecting the exact amount of water embedded in the soil. While previous missions, such as the European Space Agency’s Soil Moisture and Ocean Salinity, or SMOS, satellite, have tracked changes in soil moisture levels, SMAP is the first mission to couple the radar and radiometer measurements for a much sharper look at finer details. From SMAP’s orbit 685 kilometers (426 miles) above Earth, scientists expected to survey global soil moisture once every two or three days. Freilich said tandem observations with SMAP’s radiometer and Europe’s SMOS mission allow for lower-resolution global maps every one-and-a-half to two days. The detailed observations SMAP was designed for would allow scientists to study the link between soil moisture and how the planet processes water, energy and carbon. Researchers say data from SMAP will also yield better forecasts of droughts and floods, long-term outlooks for growing seasons for vegetation and agricultural crops, and insights into climate change. 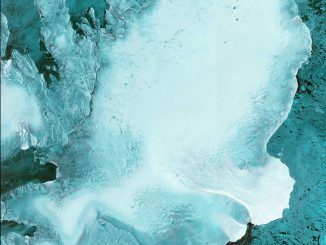 Before SMAP’s launch, officials identified improved management of freshwater resources and more accurate short-term weather forecasts as additional benefits expected from the mission.